As established in other “Watch Your Language” articles for this Blog, as a general rule, courts will typically uphold commercial document provisions unless they are contrary to public policy or statutory law, or the subject of a mutual mistake. Courts traditionally presume that commercial parties are on more of an equal playing field and are more sophisticated concerning commercial transactions, since both parties will usually have attorneys to review their documents. More and more, parties to residential real estate contracts are being held to the same standard governing commercial transactions. Because courts often defer to the specific language of real estate documents, unintended results are often the norm for parties who do not carefully draft their documents. This watch your language precept is just as (if not more) important in cases determining whether or not a contract has been created, than it is in cases determining the meaning of language within a legally created contract. The Court of Appeals for the First Appellate District of Ohio was recently faced with this very issue in Mezher v. Schrand, 2018-Ohio-3787. Background of Mezher v. Schrand. This case involves the alleged sale of a high-end residential property in Mt. Adams, Ohio owned by defendants-appellees Karri and Jeff Schrand (“Seller[s]”). Plaintiffs-appellants Joseph and Mike Mezher (“Buyer[s]”) argued that the Sellers agreed by a series of email exchanges (electronically signed) to sell their home to the Buyers and that the Sellers breached that agreement. The Sellers argued that no agreement existed because of the requirements of the Statute of Frauds. When the parties met on October 5, 2017, an argument ensued, and the Sellers refused to sign a written form contract the Buyers brought with them. The Buyers then filed a complaint against Sellers, requesting specific performance of the real estate contract allegedly established by e-mail exchange. The trial court granted summary judgment in favor of the Sellers, finding that the September 29-30 email exchange between the parties did not satisfy the Statute of Frauds, because the emails did not describe the subject property with particularity. The Buyers then appealed to the Hamilton County Court of Appeals. In Ohio (and most other jurisdictions), the “Statute of Frauds” (originating from a 1619 Act of Parliament) basically establishes that certain contracts must be memorialized in a signed writing to be enforceable. Specifically, Ohio’s Statute of Frauds (ORC §1335.05) provides, in pertinent part that: “no action shall be brought …upon a contract or sale of lands… or interest in or concerning them,… unless the agreement upon which such action is brought, or some memorandum or note thereof, is in writing and signed by the party to be charged therewith...”. There are limited, “equitable” exceptions to the rule, such as “part performance”, “unjust enrichment” and “promissory estoppel” that courts have imposed in order to avoid unfair legal remedies. See “An Oral Contract to Buy Real Estate is not Worth the Paper it is not Written on” — Ohio Real Estate Blog, April 30, 2010. Does an email or other electronic form of writing satisfy the Statute of Frauds? What writing is sufficient to satisfy the Statute of Frauds? More perplexing than whether or not a writing exists, is the question of what writing is sufficient to satisfy the Statute of Frauds. 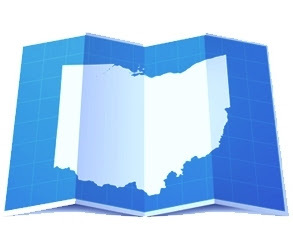 The general law in Ohio is that in order for a real estate contract to comply with the Statute of Frauds, it is necessary that the signed contract or memorandum: (1) identify the subject matter; (2) establish that a contract has been made (both parties to the contract must assent to its terms and have a “meeting of the minds” as to those terms); and (3) state the essential terms with reasonable certainty. What are the essential terms of a real estate contract? In Ohio, courts have identified the essential terms of a real estate contract as: “the identity of the parties to be bound; the subject matter of the contract; consideration; a quantity term and a price term”. What is not essential? According to recent Ohio court decisions, a written contract for the sale of land need not include the character of the deed to the executed, specify who should pay taxes on the sale or state whether a mortgage must be given to secure the purchase money in order for the contract to still comply with the Statute of Frauds. Additionally, the contract does not violate the Statute of Frauds because the writing does not state a specific date of performance (i.e. closing date) or because of the failure to designate the nature of the interest being conveyed. Analysis of Mezher v. Schrand. The court of appeals in Mezher reversed the trial court’s decision, easily concluding that the emails at issue did in fact describe the subject property with particularity. While a list of personal property (appliances, window treatments…) was not specified, the address of the real estate was embedded within the subject line of each email in the exchange and all the other essential terms could be found in the body of the emails. According to the appellate court in Mezher, a list of ancillary personal property is clearly a non-essential term in a contract for the sale of real property. The appellate court, however, also remanded the case back to the trial court on the issue of whether or not a “meeting of the minds” occurred within the emails vs simply a price negotiation to be followed up by a more complete written contract. Recall that the Mezher email exchange contemplated that the parties would sign a formal document shortly after the email exchange. The Mezher court did cite precedent establishing that an agreement can be specifically enforced even where the parties contemplated execution of a later, formal written document, so long as the parties (at the time of the “informal contract”) have manifested an intent to be bound and their intentions are sufficiently definite. The determination of intent, however would be a matter for the trier of fact, not the court of appeals. First, “say what you mean, precisely, or a judge will tell you what you meant.” The general rule in Ohio is that when the parties have clearly agreed to the “critical terms” of a real estate transaction, the court may determine on its own the meaning of any ambiguous or uncertain terms. While courts will typically factor in to their decisions, what they believe the parties’ mutual understanding to be, more often than not, a court’s determination does not match up with a party's actual understanding and someone goes home from court unhappy. Second, there is no hard and fast rule or finite list as to what is and what is not an “essential” term of a real estate contract. While we know that price, identification of the parties and property description are essential terms, and that the closing date and description of personal property are non- essential terms, there are limitless provisions that could be deemed essential by a court of law, the absence of which could render the contract unenforceable. In other words, don’t worry about the number of pages in your contracts, worry about what is reflected within the pages. Third, the enforceability of a real estate contract containing essential terms depends… on whether the parties have manifested an intention to be bound by such terms and whether these intentions are sufficiently definite to be specifically enforced. Unless absolutely clear in the “contract”, however, the intent of the parties will be based on a fact finder’s (judge or jury’s) evaluation of not only the language itself, but the circumstances surrounding the language. The fact finder certainly will not have a better idea of the parties’ intentions than the parties themselves, but will have the power to nonetheless, make the call. In other words, if you don’t want your preliminary negotiation or letter of intent to be construed as a final contract, spell that out, clearly and definitively. It is no guarantee, but a clear statement that the document “is not intended to be binding” will always be evidence of non-intent to create a binding contract. Finally, get with the times. These days, contracts can be created in cyberspace, as easily as they can be on a written document entitled “contract.” If you don’t want your emails to be binding contracts, don’t sign them, or better yet, don’t write them in the first place.